ICAR-CIFRI conducted a Mass awareness camp on “Fisheries Development in Derelict waterbodies for Socio-economic improvement” under Tribal Sub-Plan at Raipur, Birbhum, West Bengal in collaboration with Rathindra KVK, Visva Bharati, Shantiniketan. Birbhum is one of the tribal dominated district of West Bengal. It is basically, Sub humid, semi arid zone. There are numbers of derelict water bodies in the Raipur – Kankutia villages of Birbhum district. The local fishers are unaware of the fisheries potential of these resources. 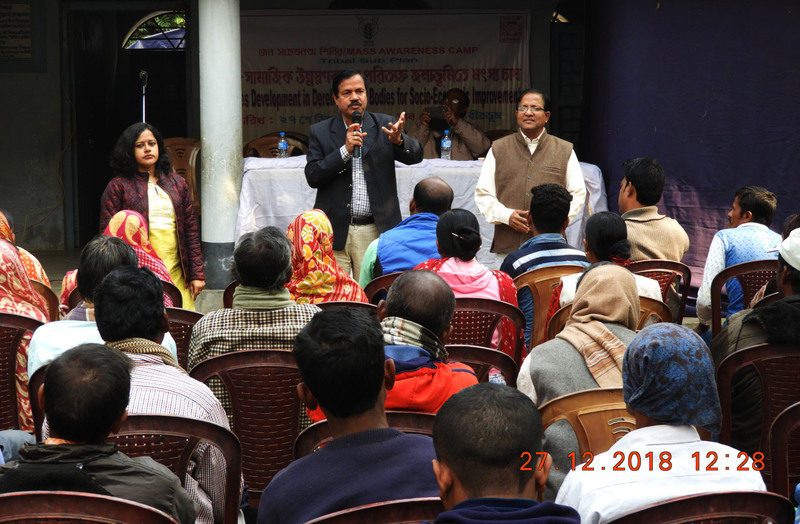 The awareness camp was organized aiming to utilize the derelict seasonal waterbodies for the culture based fisheries with scientific interventions for higher returns. Dr. B. K. Das, Director, ICAR-CIFRI advised the fishers to clean the aquatic weeds from the derelict waterbodies and to stock with advanced fingerling for better return. An interactive session was also held between the fishers and the scientists panel. 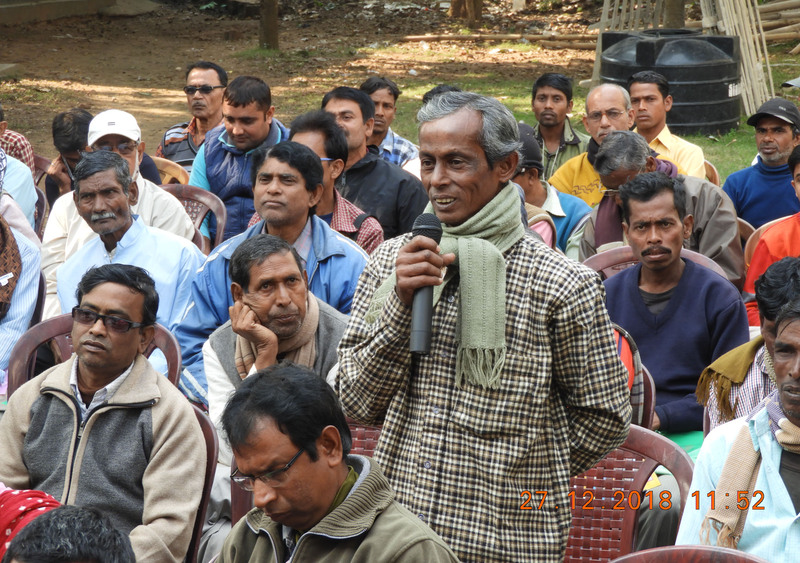 The scientist addressed the queries asked by the fishers regarding fisheries development. The panel also advised to fishers to rear fish seed in the available small ponds and to stock the advanced fingerlings in the bigger waterbodies for culture purpose. The wetlands/ derelict waterbodies can be utilized for seed rearing by establishing pen in a particular side of waterbody after de-weeding and cleaning that portion. The tribal women were sensitized about the coloured fish rearing in the backyard for their livelihoods improvement. Dr. Sourav Mandal, I/C Rathindra, KVK and Mr. Krinsha Mitra, SMS, Rathindra KVK acted as facilitator in the session. 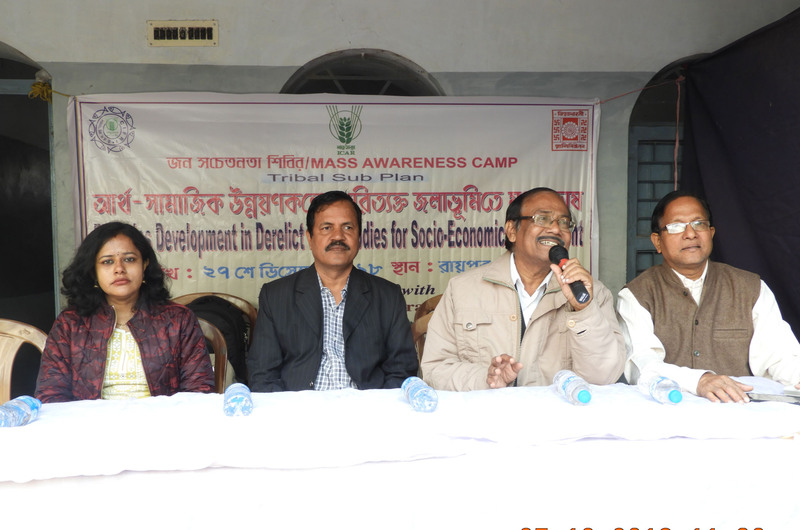 Dr. P.K Parida, Dr. A.K Das, Dr. Aparna Roy, Scientists from CIFRI were present in the awareness camp. 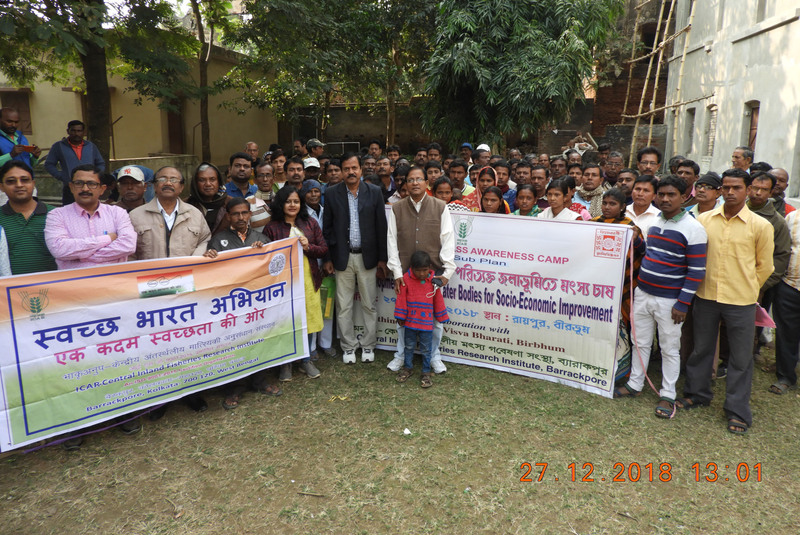 More than 120 tribal fishers attended the camp. After completion of the programme a cleanliness drive was taken with active participation of the tribal fishers and the local populace and as well. The women participants were sensitized about the importance of the cleanliness and hygiene in daily life.